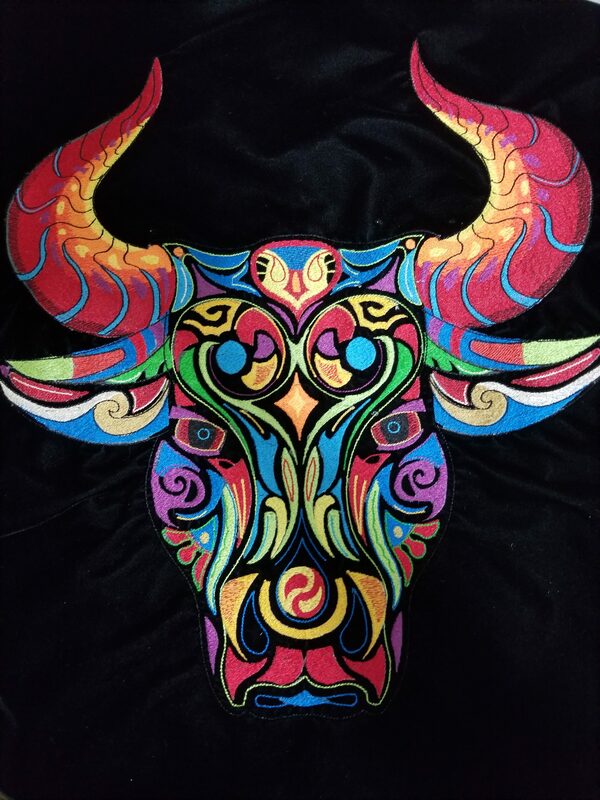 “Couldn’t get into your blog, but wanted to share the 15×16 bull on black velvet, commissioned by a coworker to take back for his brother on a visit home to India. GORGEOUS!!! Next Next post: Embroidery on Wheels!